I want to bring up an older snapshot for this weeks WordPress Photo Challenge with the motto Quest. When I was my uncle’s guest for some months in Reinfeld to help him with his health issues, I had my cat with me and we got our own room in the house but I summarized this already in another post with links to the related articles. 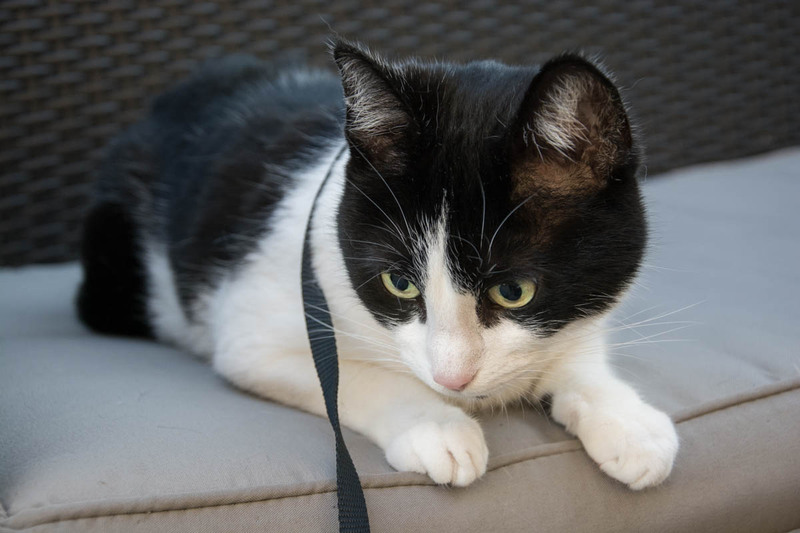 As my uncle had a terrace, I got the idea at some point to show my cat with the leash how it is to be outside. That’s funny. I’m surprised she didn’t want to go exploring. That surprised me too Charles. It changed a bit after we tried it several days in a row and she became more curious. For some reason she is a happy home cat, it’s probably because she didn’t experience the outside for so many years. Two of my cats love the outside so much and they try to escape every time someone opens the door.